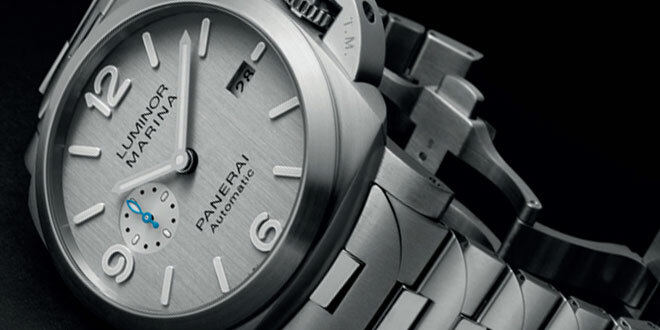 A year ago at SIHH in Geneva I had the luxury of introducing the Panerai PAM616 Suberisble Carbotech which was met with a lot of fan fair within the Panerai community. 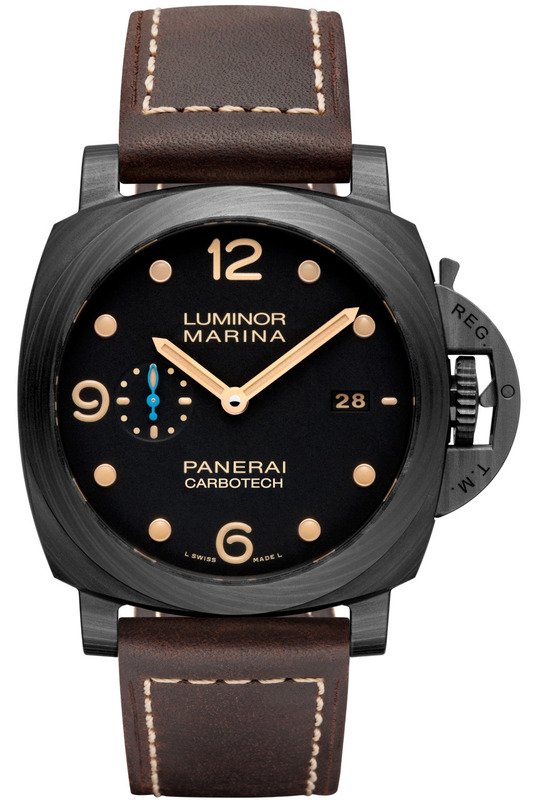 Today, Officine Panerai released the PAM661 Luminor Marina Carbotech 44mm, which is part of their P.9010 series of watches. 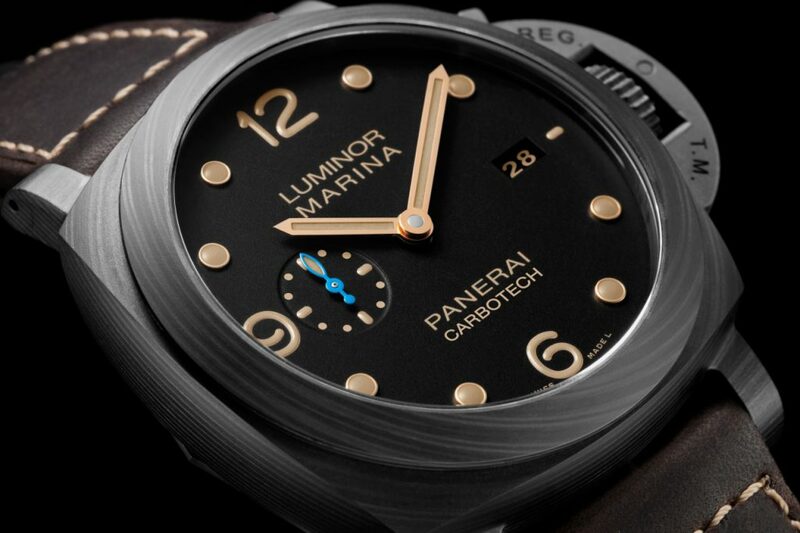 The PAM661 is the first ever Luminor Marina that has been created with the Carbotech composite material. 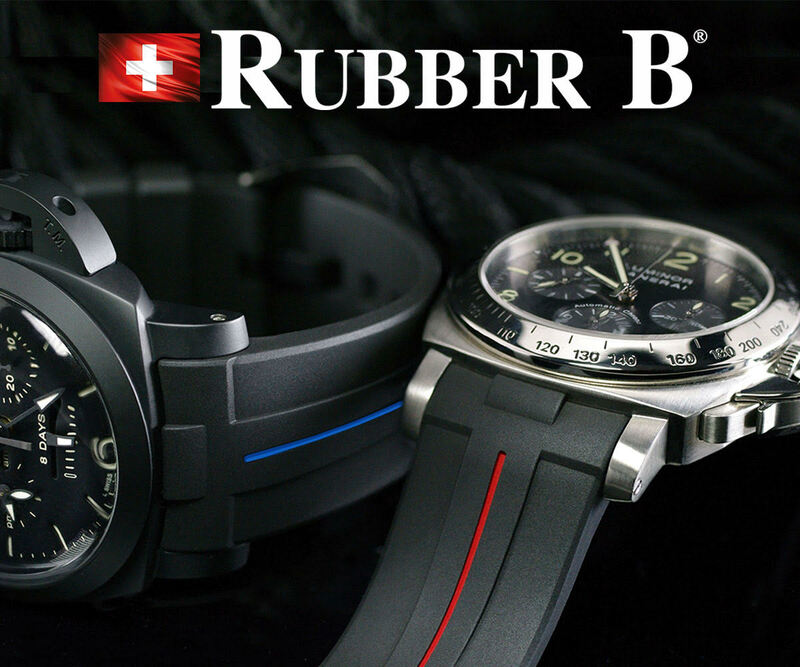 The composite is made up of very fine leaves of carbon fiber that are pressed together at a controlled temperature under high pressure with a polymer known as PEEK (Polyether Ether Ketone) which binds it all together making it even stronger. 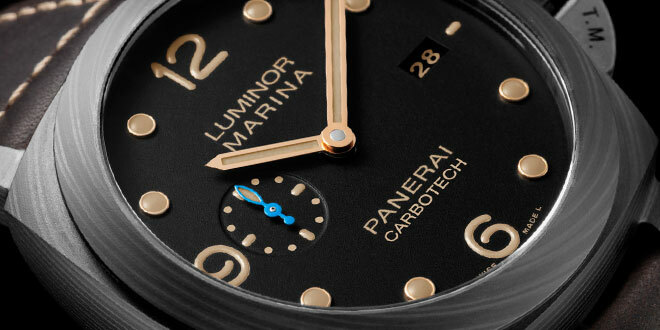 The dial of the new Luminor Marina Carbotech 3 Days Automatic is black in color and features a painted ecru (patina lume) markers and inscriptions. 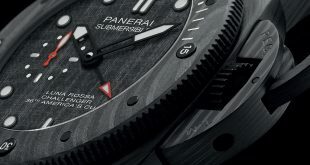 Instead of the normal batons you see on the Luminors, the PAM661 features small dots that you normally see in Submersible models. 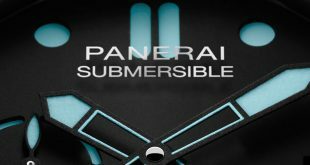 To add a bit of contrast to the dial Panerai went with a blue sub second dial hand. The regular hands are done in gold which compliment the lume very nicely on the dial. 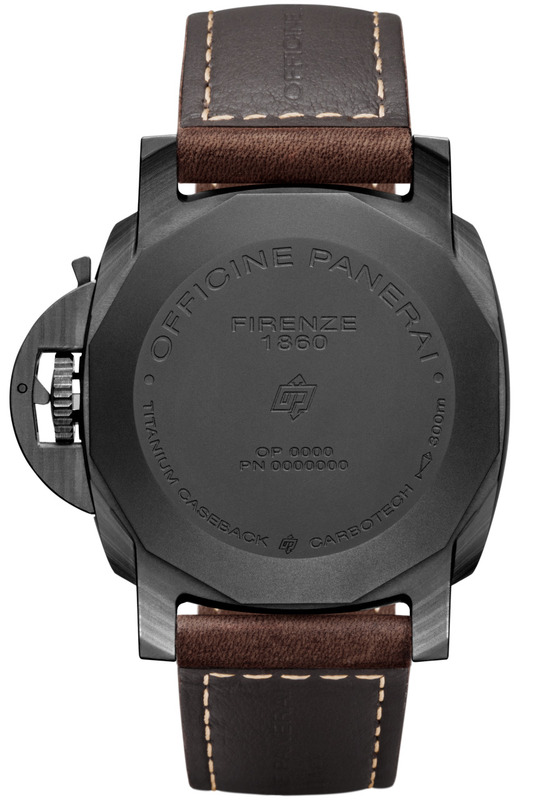 They finish off the watch with the brown Ponte Vecchio leather strap. The heart of this piece is the new P.9010 movement which is a 3 Day automatic calibre that was recently created and is thinner than the P.9000 movement that was previously used in these 1950’s cases models. The automatic P.9010 entirely developed in the Panerai Manufacture in Neuchâtel, consists of 200 components and 31 jewels. The balance, fixed by a bridge with twin supports, oscillates at a frequency of 28,800 vibrations per hour. 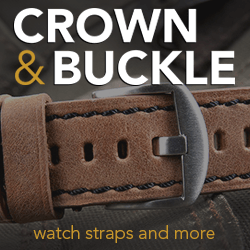 It is associated with the device which tops it as soon as the winding crown is pulled out, enabling the watch to be perfectly synchronized with a reference signal. I think that Officine Panerai really heard the clamoring from a lot of Panerai fans to use the Carbotech material in something a bit smaller. I think they did a great job with the 44mm Luminor case in this material. 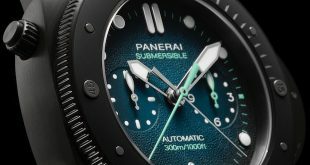 I have a feeling it’s going to be a hot seller given the price point and size of the watch. 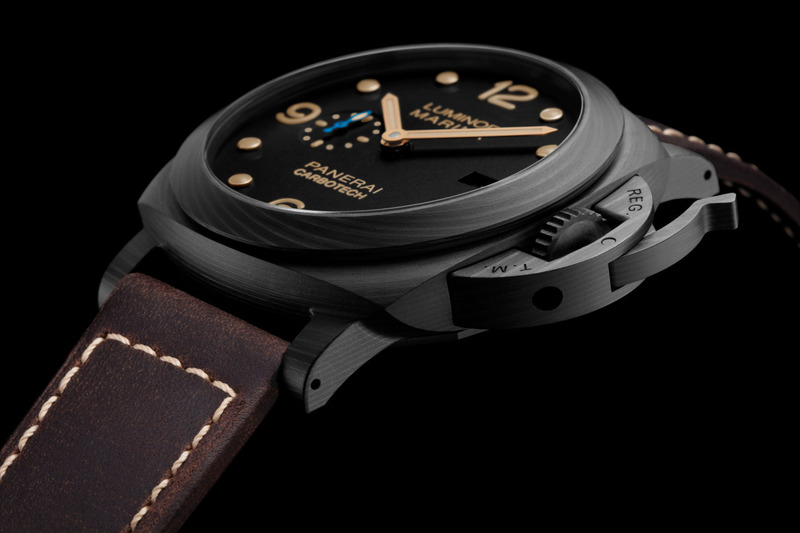 This gives the clients a new option other than PVD and Ceramic if they are in the market for a black watch in the Panerai lineup. 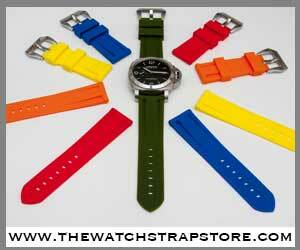 The Carbotech material gives the watch a very nice subtle texture you don’t find with the other two materials. The only thing I would have personally changed would have been to use the batons instead of the small circles as indicators, but at the end of the day that’s just my preference. 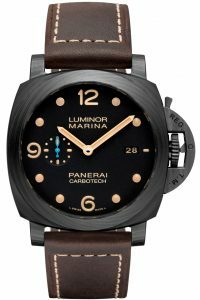 There is now timetable on the release date for the Luminor Marina Carbotech but the price is set to be $11,800 USD.